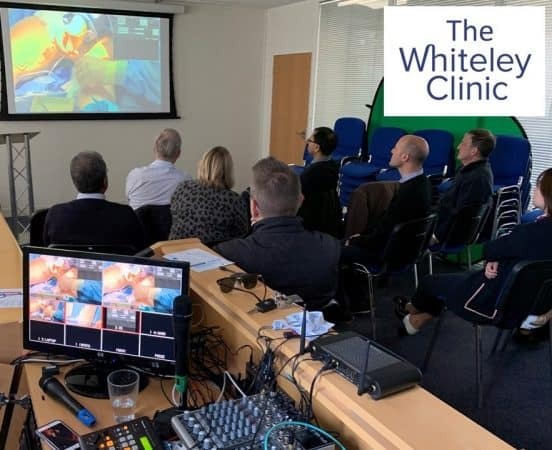 The first endovenous microwave ablation course for the treatment of varicose veins was held on the 12-13 April 2019. 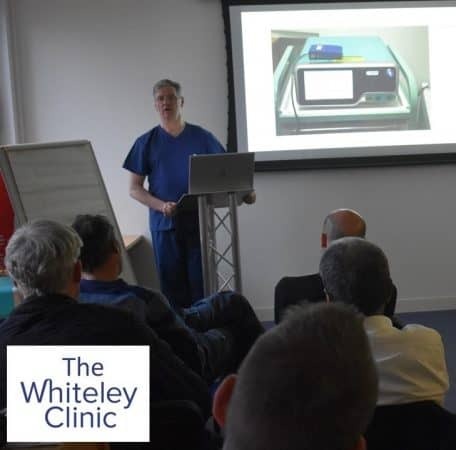 Prof Mark Whiteley, who performed the first endovenous microwave treatment for varicose veins in Europe, ran the course. 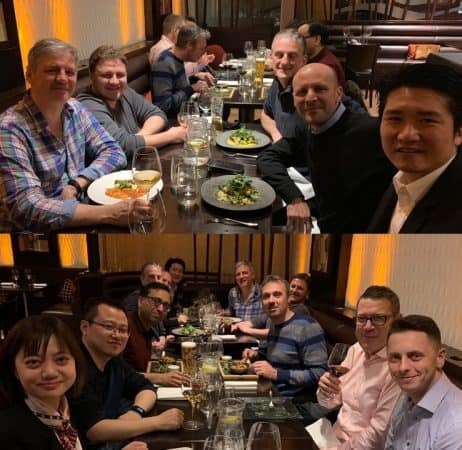 Six consultant venous specialists attended the course. They have all now been certified to be able to perform endovenous microwave ablation. Endovenous microwave ablation is a new minimally invasive treatment for varicose veins. It is performed under local anaesthetic. 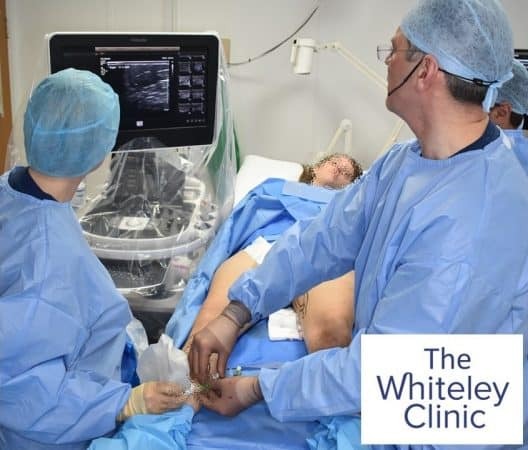 Patients are able to walk in and walk out, reducing many of the risks of traditional varicose vein surgery. The principles of endovenous microwave ablation are well proven. It has all of the advantages of both radiofrequency ablation (RFA) and endovenous laser ablation (EVLA). However, it does not have the drawbacks of either. Having been developed in China, Prof Mark Whiteley performed the first case of endovenous microwave ablation in the world outside of China. He and his team now run the endovenous microwave ablation course to teach other doctors who wish to learn this innovative technique. The endovenous microwave ablation course runs over a Friday night and a Saturday morning. Only doctors who are already experienced in endovenous surgery are allowed onto this course. 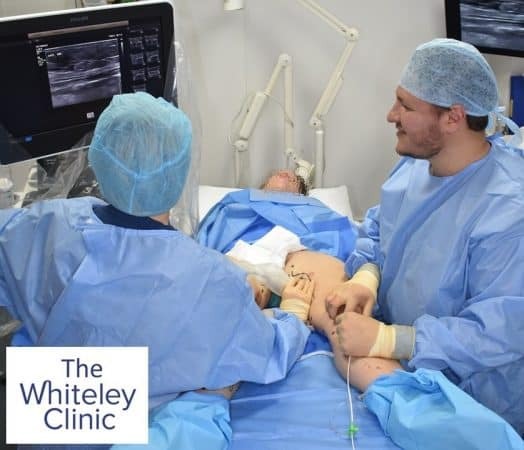 Doctors who do not have a large experience of endovenous surgery will have to attend basic endovenous training courses before they are able to take this course. All courses are run and are certified through the College of Phlebology.